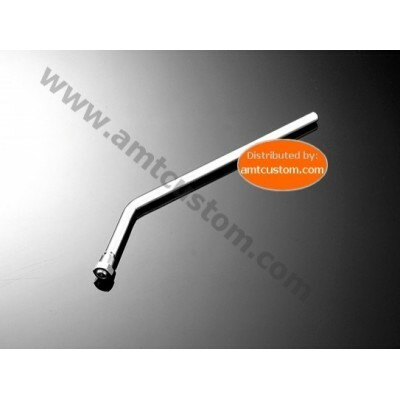 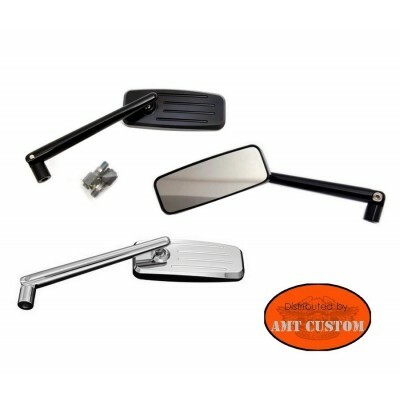 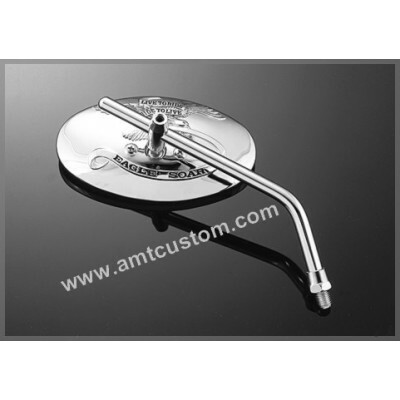 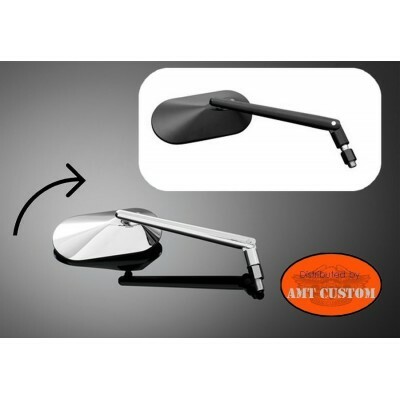 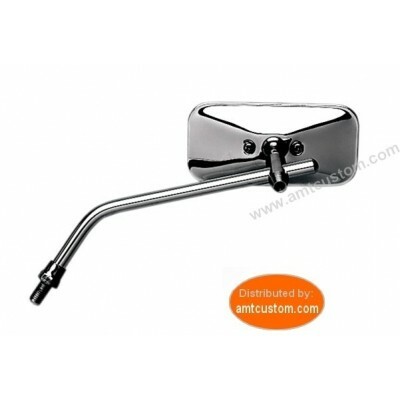 Universal and Yamaha Chrome Mirror Rectangle with Round Rod... - Rectangle Mirror with Universal Mounting M10 or Yamaha. 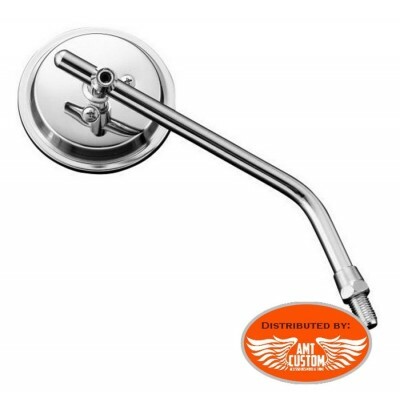 * Important: To mount right on the Yamaha, it is necessary to choose the model "Right Yamaha" and the M10 Universal model for mounting on the left handlebar. 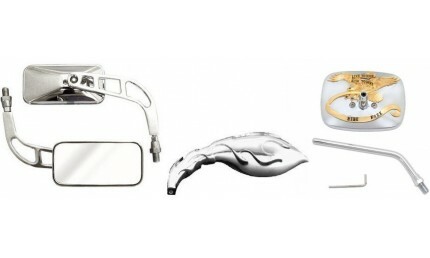 - For other brands, order 2 Universal M10 models. 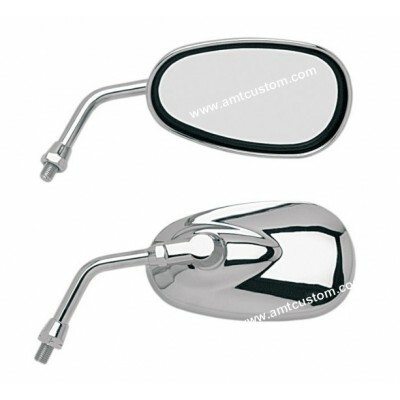 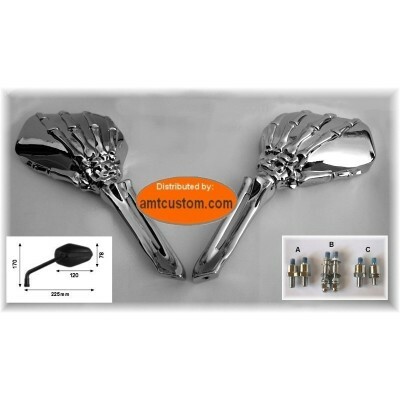 Mirror Eagle "Live To Ride" Chrome - Rectangle mirror with Universal Mounting M10 or Yamaha. 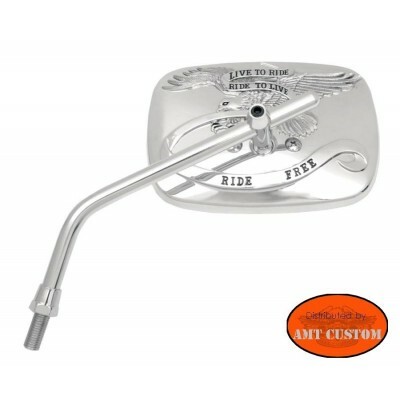 * Important : To mount right on the Yamaha, it is necessary to choose the model "Right Yamaha" and the M10 Universal model for mounting on the left handlebar. 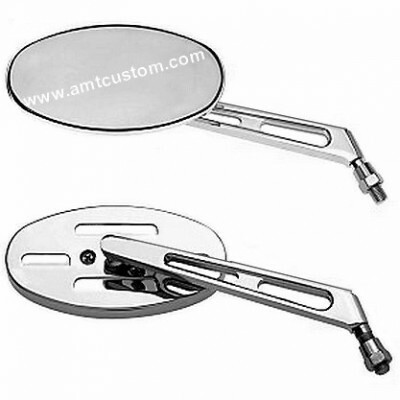 -For other brands, order 2 Universal M10 models. 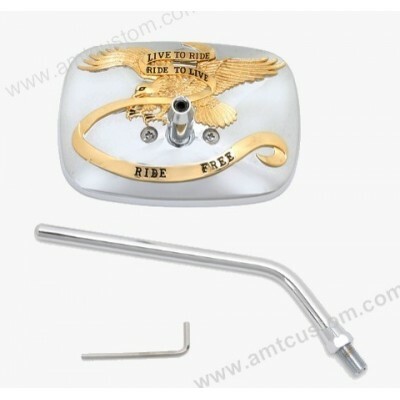 Mirror Eagle "Live To Ride" Chrome and Gold - Rectangle mirror with Universal Mounting M10 or Yamaha. 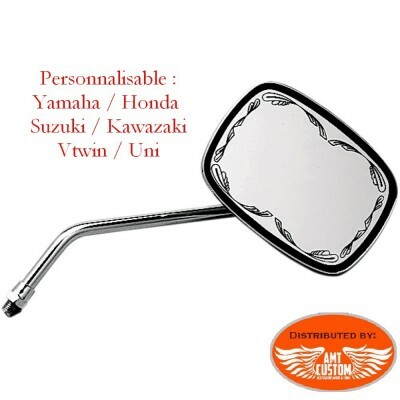 * Important : To mount right on the Yamaha, it is necessary to choose the model "Right Yamaha" and the M10 Universal model for mounting on the left handlebar. 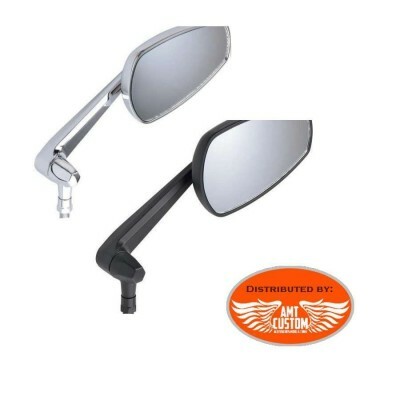 -For other brands, order 2 Universal M10 models. 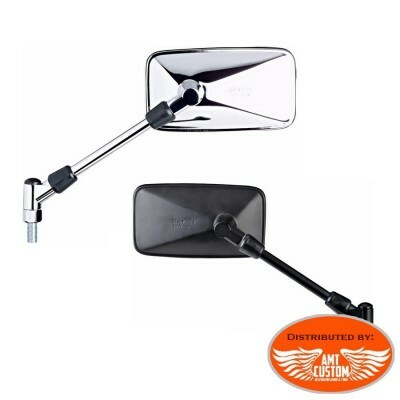 Mirror "Agila" rectangular Universal. 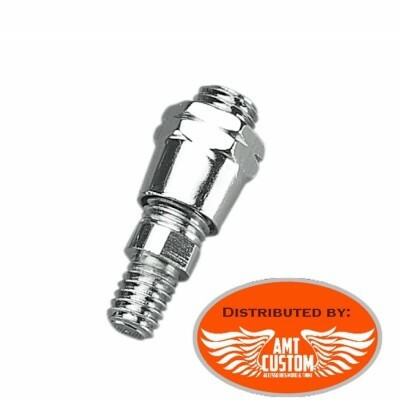 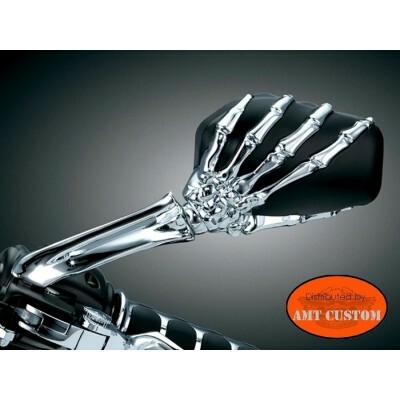 - Swivel arm for optimum trimming ... - Universal Mounting M10 and Yamaha ..
Mirror "Agila" Universal Chrome or Black Universal Fixing - Swivel arm for optimum trimming ... - Universal Mounting M10 and Yamaha ..
Mirrors universal chrome - like skeleton hands. 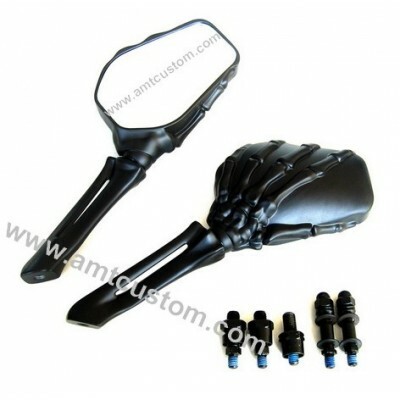 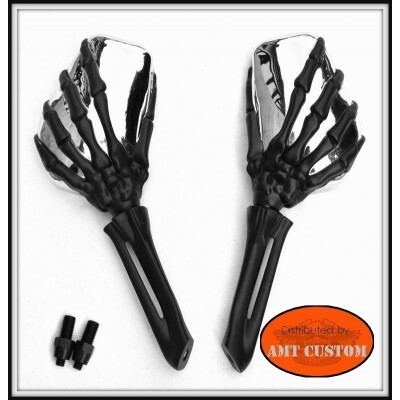 Paire of universal black and chrome skeleton hand mirrors.